In this article we review the True Profit automated trading software scam. True Profit has a very brief presentation, it says that it is a complete solution for online trading that will generate signals for you. It suggests that the signals are profitable, because who would want to trade with a losing robot, right? So, where is the truth? The truth is that True Profit is a very basic scam that has just one purpose, to make money to scammers and lose yours. How can we say that? Because of the trading software that True Profit is using, we have seen it with a lot of scams and scams only. Check our picture to see a comparison with some other scams that are running on the same software, like AutoCryptoBot, CryptoCoinsBot and FXProBot. This software just keeps being rebranded and used by new scams. Sometimes it even allows you to test it in a demo mode, but beware, its demo is very misleading, because it uses fake prices, so the profits would never happen in real mode. 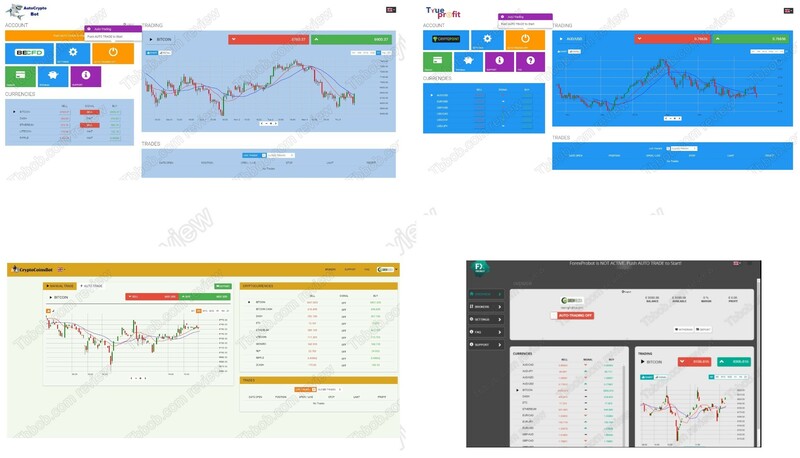 We have a lot of feedback about this app from real users, so we know for sure that in real trading it is losing money. Or did you really expect that a free app will make you money? The real aim of True Profit is to make you deposit money with an unlicensed broker – Cryptopoint. It is because people who run this scam are paid by this broker for referring new depositors, this how they make money. Now you know that if you deposit money with them and let True Profit trade, you will lose everything forever. True Profit is a scam robot that will quickly lose your money, if you let it trade with it. Stay away from it! If you are interested in making money in cryptocurrency trading, you will have to learn and build your own profitable strategy. You can try it on a free demo with a regulated broker. No free robots will make you money, they all are scams.